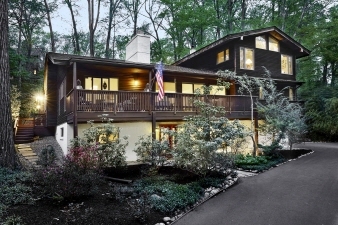 Gorgeous Light-Filled Contemporary - SOLD! SOLD! This light-filled McElroy contemporary home is an entertainer's dream home with stunning indoor-outdoor living spaces PLUS a 5th bedroom In-Law/ Nanny Suite! Lovingly maintained, updated and expanded to include 3-floors of open-concept living spaces with 5 bedrooms, 4.5 baths and a flexible floor-plan easily adaptable to suit your needs and lifestyle. Gorgeous inside and out!